Does Simon Cowell really care about the future of X Factor Winners? Radio Creme BruleeDoes Simon Cowell really care about the future of X Factor Winners? Within the last two weeks, three pieces of news have been revealed that have prompted this article. Firstly, 2009’s X factor winner Joe McElderry (famously denied the coveted Christmas number one by an online campaign to put Rage Against The Machine there instead,) was found to be supporting Jedward. The winner of the 2009 competition was the support act for the “band” that finished sixth and have done nothing since the show ended except appear on various TV commercials and a few truly awful covers of songs that needed little help in terms of inducing nausea. It was then revealed, perhaps unsurprisingly, that Joe McElderry’s contract with Syco music would not be renewed. He is reported to be devastated, moving back up to the North of England to live with his mum. One day a national hero, the next, a laughing stock. 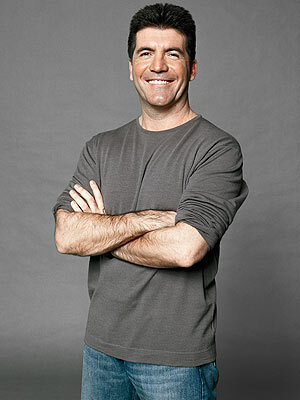 Then, today it was revealed that in further cut backs Simon Cowell is also dropping Shayne Ward. He won the competition in 2005. He followed the same pattern as all existing X Factor winners (and in some cases losers,) i.e. had an epic first single, large first album, interstellar media attention, went quiet for a little bit, “reinvented” himself, then became a little bit sad, lonely and dejected when he realized that nobody cared anymore. If an X Factor winner waits too long, eventually the public will only have had to wait for the conveyor belt to churn out the next one. I’m going at a slightly different angle here. It’s too easy to blame Simon Cowell for the “paint by numbers” pop that dominates the industry. What worries me is the increasing number of disillusioned young people, who are poisoned into believing that Simon Cowell’s toothy grin and merciless business mind can carry them into a world dominating pop career. These people are promised the world, achieve it for the briefest of moments and are then cast into oblivion. I wouldn’t know, never having tried to launch my own personal pop career, and hearing only anecdotal evidence about the brutality of this industry. Having said that, is it fair for Simon Cowell to raise these members of the public up into global super stardom, rinse them for a few pound while they are the hot number and then cast them aside as soon as they become non-profitable? Is Simon Cowell simply declaring that these pop stars are well endowed, then yanking down their pants to display to the world the hideous truth? He’s creating idols and giving them Icarus wings so that they come crashing down in flames. This seems like he is, for want of a better term, pimping out the people of this country (and soon yours.) Maybe it sounds a bit dramatic, and maybe there are people who don’t care. After all, people still turn up in their droves to these competitions. Perhaps they don’t care so long as they have people looking in their directions for all of five minutes. There are those though I’m sure who lay their hopes and dreams at this mans feet and he picks them up, makes a bit of money out of them and then tosses them away in favor of a more current flavor. He seems to be putting a lot more time into acts like Leona Lewis and Alexandra Burke (both with varying degrees of success in the USA.) Watch this space. Maybe they’ll be next. But hey, there’s always X Factor 2011! !